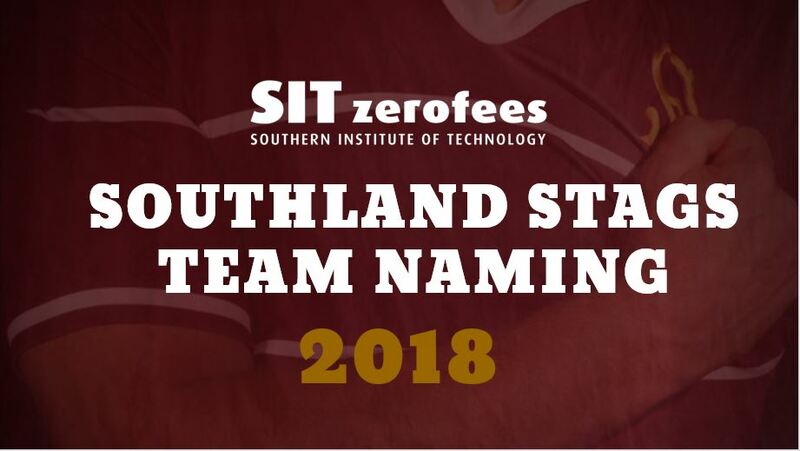 A refreshed SIT Zero Fees Southland Stags team is heading into the season with a great mixture of new and experienced players. With a squad of 26 to begin the 2018 pre-season campaign; 11 are born and bred Southlanders, 20 have made Southland their home and play club rugby, as well as the likes of James Wilson and Tayler Adams Southlanders who have been playing higher honours overseas, sets the tone for a solid provincial competition team that is something to write home about. The front row is made up of many Southland caps with props Joe Walsh (19 caps) and Morgan Mitchell (32 caps) packing down either side of 2017 Captain Brayden Mitchell on 45 caps. Tight head and loose head prop Reuben Northover is also not new to the scene with 8 caps for Southland over the 2015 and 2016 seasons. Shaun Stodart (12 caps) has had an outstanding season for Marist Invercargill starting every game and dotting down in the semi-final against Blues to help his team secure their spot in the Galbraith Shield final and will be looking to have impact with his third season for the Stags. Chris Apoua joins the front row following two seasons with Northland and 6 NPC caps making him an asset in set piece. Flynn Thomas (10 caps) completes the front row line up options with his second season and coming off a great campaign with the NZ U20’s side playing a pivotal role in the World Cup in France earlier in the year and at only age 20 is a remarkable feat heading into impact against much older front rows in the competition and holding his own. The lock combinations of 2017 can look to build this season with Star rugby club’s Jack Capil (1 cap) and Manaaki Selby-Rickit (6 caps) return. Another familiar combination is the injection of Blues rugby club lock Ray Tatafu who has had a solid club rugby season with the opportunity to play for the Highlanders Bravehearts earlier this year joining his Blues rugby team mate Bill Fukofuka of 38 Southland caps. Eastern Northern Barbarian and Waikaka club man Brenton Howden is also a lock option and as there is plenty of strength, agility and off-loading potential amongst the second row it makes for an exciting season ahead. Loose forwards Phil Halder (19 caps) and Wade McRae (5 caps) are dominant on the park and will look to have impact on defence. Halder has gained formidable experience and knowledge training with the Highlanders for their pre-season campaign over summer and wants to apply what he has learnt from them around accountability, culture and standard setting to the upcoming Mitre 10 Cup season. Tony Lamborn joins the loose forward possibilities and with 39 NPC caps for Hawkes Bay, 4 for the Hurricanes and 16 for the United States National rugby team, adds experience and depth to the side. Halfback Nico Costa has made Southland his home with embedding himself in the community and supporting Woodlands in winning all but 2 regular season club games is looking forward to the upcoming season and adding to his NPC caps of 3 with the Southland side. Young Jay Renton confirmed his selection for the season at the end of 2017 after not being initially assembled was bought into the side and had outstanding performances to gain himself starts and become an integral part of the team gaining 7 caps. Renton then went on to being selected for the NZ U20 side showing great form against other international half backs boding well for the upcoming season. Tayler Adams on 25 caps brings home to Southland Super Rugby experience from his time with the Melbourne Rebels especially around positional thinking and performing and making decisions under pressure that can lift a team when needed. 2016 and 2017 Southland Stag Greg Dyer (11 caps) re-joins the side for another season coming off a roller coaster season with his club side Pirates Old Boys. Dyer will step on the field Saturday for his first Galbraith Shield challenge with the blue and black side looking to make history with the first final for the club in over 10 years. James Wilson (65 caps) and Matt Johnson (10 caps) are also exciting players to have in the mix for the season. Wilson is no stranger to the challenges of NPC competition or the Rugby Park changing rooms and with great experience gained overseas with the Bath rugby side, he not only lifts the average age of the mainly young team but adds confidence where and when the unit needs it. Matt Johnson played every game of the 2017 season coming off a great high of helping to lift the Galbraith Shield for the first time in 16 years for his Marist Invercargill side and earning a Super Rugby contract with the Auckland Blues. Unfortunate circumstances of health and open heart surgery led Johnson to be ruled out for most of the Blues season but being amongst the professional set up and exposure to the higher level of rugby will aid Johnsons learnings going in fresh for the 2018 season. Sydenham’s Ray Nu’u will be joining the squad on Monday after playing in his own semi-finals rugby for the club side. Nu’u brings pace and aggression for defence and attack and can read the play well. As another young player for the side Nu’u adds to the exciting potential of the Stags backline. Aleki Morris (12 caps) signs to play his third season for Southland alongside 2017 Stag Lewis Ormond who played all but one of the previous seasons match ups. Jackson Ormond with 57 NPC caps for Taranaki joins the side off the back of club season playing alongside fellow team mates Aleki, Lewis and Sosi Tuimavave (14 caps) for Woodlands. Tuimavave also spent the off season playing for Italian National Championship rugby side Calvisano bringing home great confidence and flare needed in the backs and after missing most of the 2017 NPC season with a nasty pectoral injury he will be looking to put solid performances on the park for his team. To ensure positional depth and security of injury cover for the season there remains contracts available for the 2018 season. The Stags coaching unit led by Head Coach Dave Hewett wishes to contract further players coming from within Southland and possibly outside the province. Southlands campaign begins with a pre-season schedule that includes games against North Otago in Oamaru, against Otago in Alexandra and Northland in Auckland. The season then kicks into high gear with the first regular season game against Hawkes Bay on the 19th of August in Invercargill.